1Pour ingredients into a shaker with ice. 2Strain and pour into shot glasses. The quintessential summer cocktail: the lemon drop. Tart, sweet, and refreshing. Make it by the pitcher and serve it as martinis rather than shots: Use 2 cups of vodka, 1 cup of Lemon Zest Keep It Simple Syrup, and 1/4 cup of freshly-squeezed lemon juice. Add several pieces of freshly-sliced lemon and let mixture chill. Serve ice cold in chilled martini glasses. 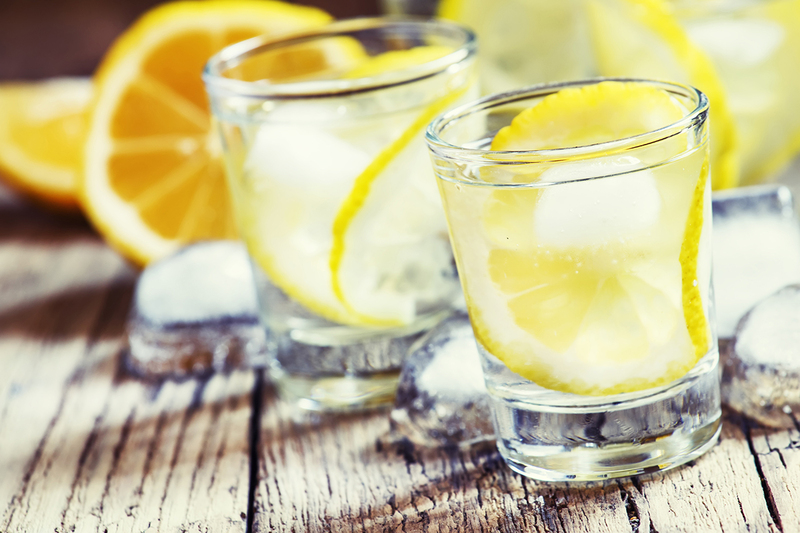 Float a slice of lemon in each glass for visual appeal.